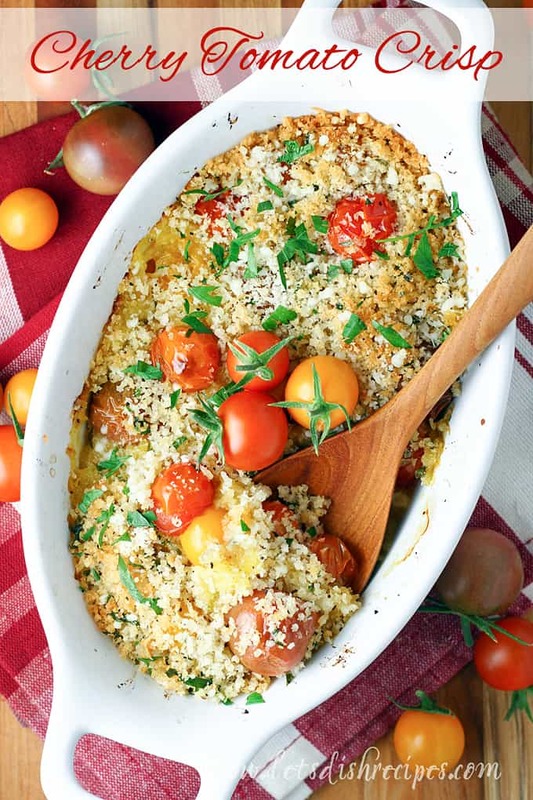 CHERRY TOMATO CRISP — Cherry tomatoes are tossed with olive oil, then covered in a breadcrumb and Parmesan cheese topping in this unique and delicious summer side dish. I saw Cherry Tomato Crisp recipe in my Everyday Food: Great Food Fast cookbook and couldn’t wait for my garden to produce enough cherry tomatoes to make it. I use the term garden loosely, because I’m not much of a gardener, but I always seem to have good luck with tomatoes. Especially cherry tomatoes. And right about now, I have more cherry tomatoes than I know what to do with. So I’m constantly on the lookout for delicious new ways to use them. Well, let me just say, this Cherry Tomato Crisp did not disappoint! I mean, most things are delicious covered in toasty breadcrumbs and cheese. I personally never met a breadcrumb topping I didn’t love. 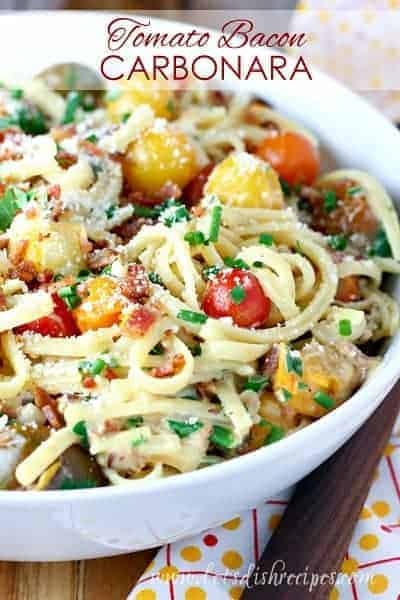 I especially love that this dish is quick, easy and tastes amazing! In fact, I plan to plant more cherry tomatoes next year so I can make it more often. If you have some larger tomatoes, I find it helps to cut them in half, so everything cooks evenly. And if your topping gets brown before the tomatoes are done, just cover it with some foil and cook it a few minutes longer. This dish is a perfect compliment to almost any meal. I’ve even been known to eat it on it’s own for lunch. That’s how quick and easy it is to put together. This crisp makes for an especially nice presentation if your tomatoes are a variety of different colors. But it’s wonderful using any kind of tiny tomato. 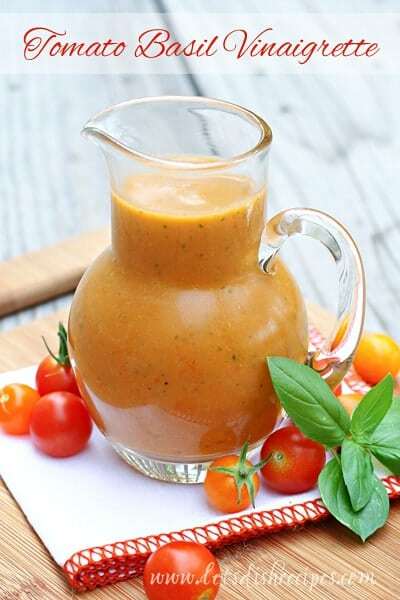 If you grow cherry tomatoes in you garden, you’ll definitely want to add this recipe to your collection! 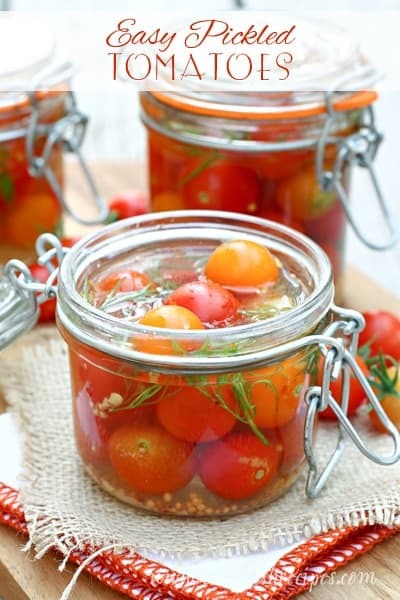 Be sure to save this Cherry Tomato Crisp recipe to your favorite Pinterest board for later. 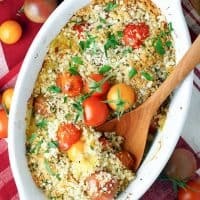 Cherry tomatoes are tossed with olive oil, then covered in a breadcrumb and Parmesan cheese topping in this unique and delicious summer side dish. In a food processor, combine bread, Parmesan cheese, parsley leaves, olive oil, and garlic. Season with salt and pepper. Pulse until bread is very coarsely chopped, 4 to 6 times. Drizzle an 8-inch square baking dish with olive oil, or spray with non-stick cooking spray. 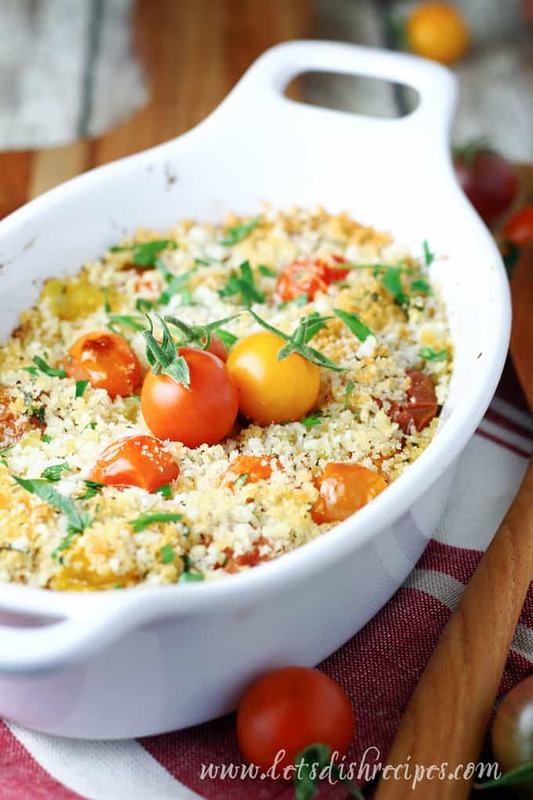 Arrange cherry tomatoes in a single layer and sprinkle with the bread crumb mixture. Bake until crust is browned and tomatoes are tender, 20 to 25 minutes. It is appropriate time to make some plans for the longer term and it’s time to be happy. I have read this submit and if I may I wish to suggest you few attention-grabbing issues or suggestions. Maybe you could write next articles regarding this article. I desire to learn more things about it!